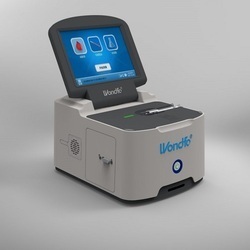 In order to meet excellent quality standards, we are supplying Abbott i-Stat Blood Gas Head Analyzer. Banking on the skills of our qualified team of professionals, we are instrumental in offering a supreme quality range of Blood Gas Analyzer. 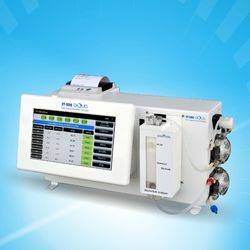 Being a prominent provider, we are engaged in providing Blood Gas Analyzerto our esteemed customers at industry leading prices. Range: CO 0 to 1000 ppm, overflow 2000 ppm; CO2 200 to 4000 ppm, overflow 9999 ppm. Resolution: CO 1 ppm; CO2 1 ppm. Temperature: 32 to 104 Degree F (0 to 45 Degree C).